Book your Mother’s Day Portraits with Taylor Made Portrait Studio Today! Call 512.663.0641 to schedule your consultation. Don’t waste this time with your Mother, or your Daughter, or even your Grandmother! Time goes by so fast, and when it is all said and done, all we have left are our beautiful portraits. 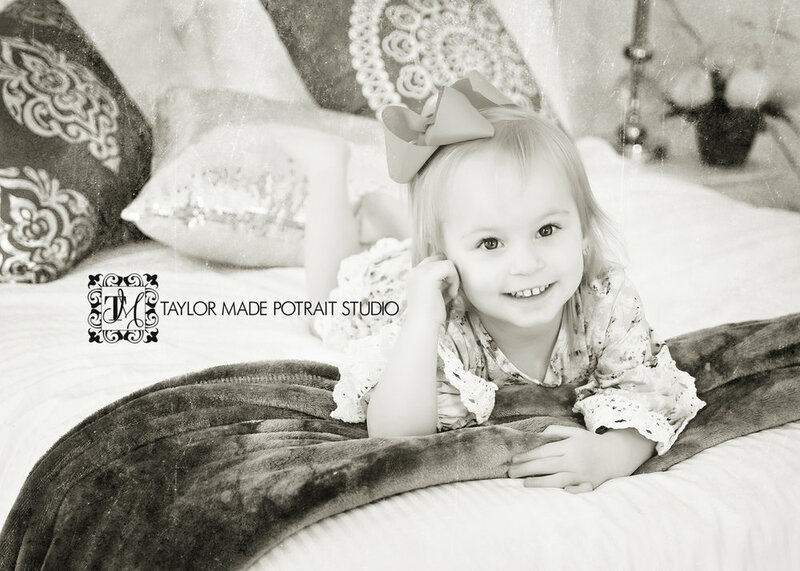 Let Taylor Made Portrait Studio capture these beautiful memories for forever! Hair & Makeup available. Minimum order is $300. Does my head shot still look like me? If your headshot was taken five or more years ago, if you’ve lost or gained a lot of weight, if you chopped all your hair off or dyed it a completely different color — it’s time to get a new portrait. Does it fit my current career goals? Were you an aspiring actor then, but now you want to join the business world? Were you looking for your first position at an ad agency but now you’re the creative director? Are you dumping corporate America to open your dream bakery? Get a new headshot that shows off your assets and projects your new goals. Does it look like a selfie? You may not need a professional headshot, but you need a headshot that looks like a professional took it. Unless you’re a celebrity or a social media maven who has found your perfect angles and understands how to use lighting to your advantage, get a new headshot. Finally, does it look like the BEST me? Maybe your headshot is okay — but is “okay” good enough? If you are striving for a promotion at your current job, or looking for a new job all together, you deserve to have the BEST PROFESSIONAL HEADSHOT you can get for yourself! Always put your best face forward, you deserve it. As an example: Meet Cindy, a senior executive in the Human Resources industry, came to me recently to update her headshot for her Linkedin and all of her other business needs. Her first head shot is fine, it is obviously a professional image, it was taken by a photographer that came into the office and took everyones portrait at the same time. It is just not lit very well, it is very “flat” meaning there is no “shape to her face”, her face literally looks flat and its cropped in so close to her face, there is no other option but that “crop” for that image. Also, the outfit she is wearing is more than likely just what she had on at work that day, which was a perfectly fine shirt for work, but she was not counseled on what to wear to for a portrait. Her shirt is very distracting, and takes away from the subject, which is her beautiful face. When she came to me, she had just moved to Texas and was looking to change jobs, and by looking at the previous portrait, she has obviously lost quite a bit of weight. (You go girl!) She defiantly needed an update. I counseled her on the best type of clothing to wear for a Cooperate Headshot, and the clothing she brought in was perfect. The lighting on her face gives shape to her face, and accents the beautiful shades in her hair, she does not look “flat”. The posing is flattering, it makes her look approachable and friendly, yet professional. I have not cropped the image in to close, so she could use this image as is, or she could choose to crop it in closer to her face for a completely different look. As you can see from the composite of images below, I take way more than just one image during a Cooperate Head Shot Session! I encourage my clients to bring in 3 changes of clothing. ! Business Professional, such as a suit and tie for the men, and a business suit for the women as well. Then more of a Business Casual, and then an all together Casual outfit. While you are here you might as well get an image of yourself your spouse will love, or you would want to put on a dating site or even give out to your parents or siblings. Might as well get it all done at the same time! Bluebonnet Portraits here in Texas is a huge tradition!!! There is nothing more “Texan” than a happy family out in the blue bonnets! Here is just that, a happy family, expecting a new baby in a few months, at a beautiful location, getting their portraits taken in the Texas Blue Bonnets before they are gone for another season. This happens to be my son, his girlfriend and my grandson. My newest grandson is due in June! Because this is my own kid, I can pick on him for a moment and use these images to educate my future clients. I know my son did not have time to go out and get a different shirt before this impromptu session, but his shirt would not have been my first choice for this session at all. He should have been in a solid colored shirt. Her dress ended up being an off white, not a pure white like the website made it look like, so we could not put him in his only other option he had, which was a white shirt… so he went with this one. It works, and the images are beautiful, but they would have even been better had he been in a solid blue shirt. The pattern in his shirt competes with the flowers. It is always so important to dress in solid colors when you are outside and you are against a “busy background” to begin with. If you are interested in a Blue Bonnet Session for this season, we only have a short time left with them, maybe till the 10th or so of April I am guessing, reach out to me. I would love to do a session for you in this amazing location! Even after the Blue Bonnets are gone, this is a wonderful location for Family Portraits, as the lighting in the evening is just stunning, as you can see by these pictures! You can call or text me at 512.663.0641 or you can email me here. I look forward to hearing from you and working with YOUR family to create lasting memories for generations to come! Lighting is so very important to a Professional Headshot! I have been told for many years that my lighting is so beautiful. As it should be, I am a “Professional”! I have studied for years and years to get this right. Lighting is so very critical to a good portrait, whether it is a head shot or a family portrait. It is a craft you don’t just learn overnight. There are 4 key things that will give a portrait away as being done by an “amateur”, that you should look out for, and those are 1. The Crop, 2. Posing, 3. Retouching and 4. Lighting. If you have a portrait that has a bad crop, either it is cropped in to tight (like an arm is chopped off at the wrong place such as between the elbow and the wrist, which is a huge no no), or cropped in to close to the face, if the photographer has the original image, you could ask them to re-crop it and it is fixed. That is as long as they did not actually “shoot it” that way or save over the original file. If they did, you are stuck with it that way. You do not want your professional headshots to look like a mug shot. I see this so often! You need to be posed, even it you say you want to look natural, you need to be “posed”. I had a HS Senior girl tell me she did not want any posing at all, she just wanted to be natural. I put her in front of my camera and said “OK, go… be natural”, she had no clue what to do. She figured out really quickly that she needed my help. Lots of time amateur photographers don’t have a clue yet about how to pose a client. I have spent countless hours in classes learning this craft, the do’s and the do not’s. Then, if you have an image that your skin looks like you are a plastic doll from over retouching, you could always ask them to go back to the original and 1, either not retouch it so heavy or 2, higher a professional retoucher and it is fixed. That is if the photographer has not saved over the original. Or, maybe you have an image that is not retouched at all, and all your blemishes are still showing because maybe the amateur you hired does not know how to retouch. Cropping and retouching are a couple of the things that can be fixed that amateur photographers can sometimes overlook, but they can be fixed after the fact, but lighting usually cannon easily be fixed after the fact. If it is fixed, it usually shows, and it will not be an image you are going to want to use and you will have wasted money, same as with the posing. If the lighting and posing are bad, the portrait is bad. The best lighting for portraits is a diffused light, especially for headshots. You want that diffused light to be soft on your face and hide your wrinkles and blemishes, not be harsh and enhance them. Even if we go outside, you can see by looking through my gallery, my lighting is soft and diffused, it is never harsh. I love my studio, I can always control my lighting. I don’t have to worry about what the weather is doing outside, or what time of day it is, the light is always perfect in my studio. I also have an array of backgrounds to choose from for cooperate headshots as well, even if you are just wanting them for a dating site… I got you! As you can see in these beautiful cooperate portraits, that light in her hair did not happen by accident. The softer light on the right side of her face also did not happen by accident, it is soft and beautiful. I have a specific lighting set up to get that effect for my clients. Also, the lighting in the eyes is so very important… but I will save that for another post! The posing is flattering for her, and there is a mixture of a business like pose that would be good for a business card, and then there are more casual poses that will be great for other needs this particular client had within her business. You can also see that the crops are spot on. I did not crop to close to her head, and I did not crop off any fingers or arms in awkward places that they should not be cropped off at. The retouching does not make her look plastic, nor unlike herself. She looks like herself, just polished! That is the goal with every one of my clients unless they request otherwise, such as with my Boudoir clients and they want that “Fantasy Retouching”. So the moral to this post… if you are looking for a Professional Head Shot in the Austin, Round Rock, Cedar Park, Georgetown or Pflugerville area…. I hope that I am your choice, Tracey Taylor of Taylor Made Portrait Studio in Pflugerville, TX. 512.663.0641 If not, I hope you keep these things in mind as you make your choice so that you get the quality head shots you deserve, you don’t want to waste your money and have to have them done again by someone else! Get it done right the first time! This lady... she was such a JOY to work with!!! She kept me in stitches the the whole time she was here in my studio! I could just adopt her if she would let me! During a Business Head Shot Session, I take my time, I am not rushed... I allow my clients time to change clothing up to 3 times. I encourage a business professional look, then a business casual, and finally a casual look. You are here, you have paid for the session fee with a "great photographer" (hahaha as I break my arm patting myself on the back), you might as well take the time and get some images your family would love of you as well. Not just you in a stuffed suit! ESPECIALLY if you are single, and you may need an updated image for a dating site and all those Social Media platforms out there these days. Its nice to see the "business" you, but we also want to see the more "personal" side of you too! A Business Head Shot Session is $179, and that includes the Session Fee with up to 3 outfit changes, and one fully retouched image. You will come back within a day or so, to view all of your portrait choices and be able to make your final decisions then. If you are a member of BNI or an employee of the City of Round Rock or the City of Pflugerville, you will get a discount! Call 512-663-0641 or Click Here to email me to book your session! I look forward to creating the perfect set of images for you! Oh what fun Angela and I had on the day of her shoot!!! From the moment she walked into my studio, to the time she left we were laughing! What a beautiful person, both inside and out! I LOVE showing women their true beauty, no matter their size, shape, age or what they think about themselves! Every one of us women are beautiful... in our own way, and I love bringing that out in every woman that walks through my door! If you would like to have your own glamour session, and allow me to bring out your true beauty for all the world to see, or maybe just that one special someone... give me a call/text at 512.663.0641 or send me an email to set up a complementary consultation. During your consultation we will go over everything you are wanting to accomplish with your session, you can bring outfits you may want to be photographed in so I can review them with you, you can look through the wardrobe I have in the studio and see what you may want to borrow from that, and we will also go over the price menu in detail. Before you come back for your session you will know exactly what to expect on the day of your session and also what to expect financially as well. Let me make you feel like a star for a day!! It's that time of year where everyone is wanting their images for Christmas Cards, gifts and just to update their Family Portrait. I am so sorry that I have not been able to keep everyone up to date with everything I have been doing, but I am only one person, and my blogging and social media updates is unfortunately is what ends up slacking! I had to share this beautiful family session though!!! There is still time to update your Family Portrait! Call 512.663.0641 or email me directly from my website - www.TaylorMadePortraitStudio.com/Contact. It's not to late!! Anyway, I just wanted to share my own kids Santa Portraits I did this year, since it has been a couple of years since I have had a Santa to photograph. I was hired by Texas Family Chiropractic, which is my Chiropractor and he is AMAZING... to do Santa Portraits for their patients and his wife's real estate clients, as their gift to them. It was such as fun event, and I of course took advantage of it and had my kids come sit with Santa! I even snuck in one with my daughter who was at the event as my assistant! SOOOO... in doing this, I have also decided that this Santa is the PERFECT SANTA to bring into the studio next year so I can offer Santa Portraits here at Taylor Made Portrait Studio again!!! I had about 15 phone calls this year at least, from people finding my old Santa Portraits online and wanting to book a session. I felt so bad not being able to offer anything! 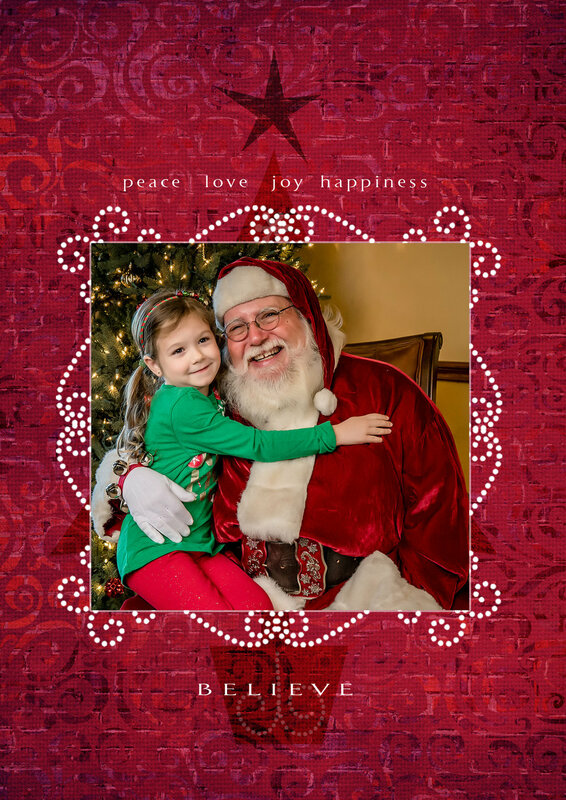 SANTA PORTRAITS NOVEMBER 3rd & 4th, 2018 at Taylor Made Portrait Studio!! The set is to be determined, the pictures posted here will NOT BE THE SET!! You can book your time now by sending an email to Tracey. I guarantee it will book up!! What a wonderful gift Dr. Houghton of Texas Family Chiropractic gave his patients!!! A portrait with Santa!!! 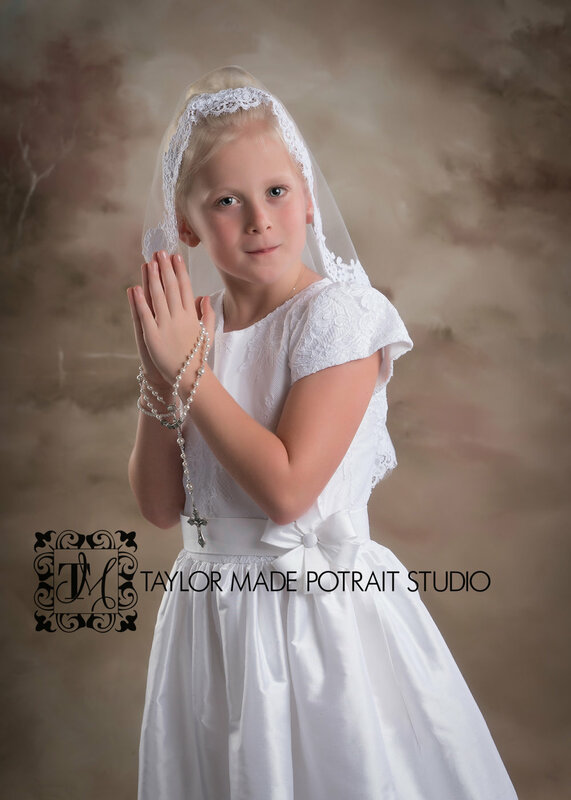 I am honored that he chose Taylor Made Portrait Studio to be the one to provide the beautiful portraits!! 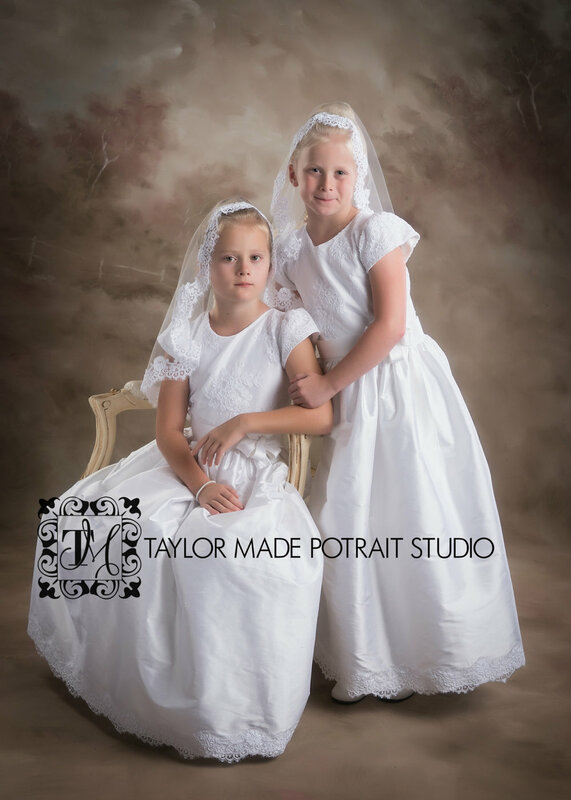 Everyone gets a free digital file of their child(ren), and then anything else they would like from what was taken that day, they can purchase from Taylor Made Portrait Studio at a huge discount from regular studio prices. Here is the link to all the portraits that you get to download as a gift from Dr. Houghton. Here is a link to the rest of the Storytelling Portraits that you can purchase if you like. There are also some custom items available directly from the studio, they are not available to order in the gallery. You will need to contact the studio directly at 512.663.0641 or email here. The information and prices are pictured below. I wish you all a very Merry Christmas and a Happy New Year!! I hope that you will all think of Taylor Made Portrait Studio throughout 2018 for all of your portrait needs!! This is a custom 10x10 - 4 image Canvas that is available. It is $65 and only available directly from the studio. The City of Taylor hired Taylor Made Portrait Studio to take Family Portraits of their employees during their Christmas Party as a special gift! Below you will find the links to two Galleries. The first gallery is for your complementary portrait, please download your portrait and enjoy!! The second gallery is all the other portraits that you can purchase at special discounted prices. These galleries will both expire on December 30th, 2017, so please place any order you are going to place, or download your complementary portrait, before then! You guys were all so much fun to work with, I hope you LOVE your portraits!! Here is a small sample of what you could get with a Deluxe Senior Session at Taylor Made Portrait Studio! One day we are in the studio, enjoying the a/c, not having to worry about the weather, the bugs or being ruled by the sun! You can bring a bunch of different outfits and props. The prop this Hyde Park High School Senior wanted to bring was her beloved dog! The next session is on a location of your choice, done on a completely different day. So for girls it gives them a chance to wear their hair 2 different ways. Maybe curly for the studio and straight for the location. The only downfall to the location is that there is limited places to change outdoors, so changing outfits is not as easy. We have to get creative! This is something we discus in detail during your Design Consultation. Click Here to book yours now! For this session we went downtown Austin on a Sunday afternoon. We started out in the back alleys, then ended up on the top of one of the rooftops with the sun in the the background as well as some beautiful sights too! This is just a very small sample of the images you would have to choose from, I usually show between 40-60 images from a Deluxe Senior Session. The session fee for a Deluxe Senior Session is $275 and is for my time and talent to create the images and prepare them for you to see, it does not include any digital files or products. You will come back into the studio within a week or two, depending on both schedules, for your Image Reveal Session. At that time all decision makers should be there, it is there that you will place your order. Austin, Round Rock & Pflugerville Photographer - Christmas Mini Sessions.... Already!!! Yes... I know, I have not even given the Great Pumpkin a chance to make and appearance and I am already talking Christmas!!! I am just on the ball this year!!! I am so excited to have a Christmas Set this year after not having one for so many years! This is something so completely different than I have ever done, and I absolutely love it!! This is perfect for Families & Children in Christmas Pajamas or kids in their dressed up outfits either one. The Session Fee is $50 for Tuesday - Friday & $75 for a Saturday session and is due at the time of booking. For $250 you will receive 10-15 digital files via Dropbox in a few days from your session. Email Tracey to set up your session by clicking HERE!! FYI: Target & Kohls has a great selection of Christmas Pajamas already as well as being able to order quickly from Amazon! Austin, Round Rock & Pflugerville Photographer - Football Portraits! Anybody who knows me, knows that I am a diehard Seattle Seahawks fan! Here is one of my fellow Austin Sea-Hawker Board Members. The booster club that I am a member of, www.Austin12s.com, Seattle SeaHawkers, does way more than get together on game day and watch football and drink beer! We raise money at every game, and then several times a year we get together as a group and donate our time and the money we have raised to several key charities here in the Austin Area. We are very proud of the work we do! We happen to be the largest Seahawks Booster Club or Watch Party in all of Texas!! With all of that said, even though my heart belongs to the Seahawks, that does not mean that I won't do portraits for you or your family if you happen to be a Cowboys fan or even a Patriot's fan! LOLFamily portraits with your family all decked out in your teams colors or jersey's makes for a wonderful Christmas card, of which, I happen to create custom ones!! So, give me a call and book your family or individual session now for the holidays, as my time is going to book up fast! Cell 512-663-0641, or Click Here, to email me to set up your complementary Design Consultation so we can plan just the right session for you! I have never known a couple to be more in love than these two. Carter & Charlie Lund are the owners of, A Carter T. Lund Salon in Austin, Tx and are some of the best people I know! Not only are they the most talented hair artists I have EVER known, they are amazing parents to their 9 children and they are MADLY IN LOVE!! Thank you to both of you for trusting me with your family portraits over the years. I have watched your kiddo's grow up to be such beautiful young men and women and the little ones are getting so big, where does the time go? Thank goodness we have our portraits to stop a moment in time for us to always have those memories. David and his Mom drove all the way up from Corpus Christi, TX for me to photograph his Senior Portraits! Man, do I ever feel honored!! We had a wonderful time though, what a fun young man to work with! I am looking forward to showing them all of their images next week!! Enjoy the sneak peek for now!! I was so honored when I was asked to photograph the 2017 Muscular Dystrophy Association Muscle Walk & Fire Truck Pull at Austin Park & Pizza here in Austin! Here are just a few of the highlights of the day. KXAN was there, along with the UT Cheerleader's, the Austin Spur's & of course the Austin Fire Department! It was a beautiful morning full of fun! Realtor Head shots are so very important!!! They are your first impression to a person looking to buy a home. I know when we bought this home, I choose our realtor based on the image they had in the magazine!! It's true!! I wanted to work with someone I felt like I could connect with. Luckily it worked out great for us! So make sure you choose your photographer carefully that creates that portrait for you. You want a picture of you that is going to bring out your personality and not make you look like someone your not, while also making you look your very best! I think I accomplished that for Mr. Jaque today! Call 512-710-8677 to book your business head shot session today. Announcing Headshot Mini's with Taylor Made Portrait Studio. The first Monday of every month, starting May 1st. This is perfect for a Business Headshot, last minute High School Seniors or just because you want a beautiful Headshot done by Taylor Made Portrait Studio! - Hair and makeup done by our team of professional artists at the studio prior to your session. This is normally a $125 charge you will be getting for FREE! - Up to 3 changes of clothing as time permits. Please email from the website to set up your session time before they book up! Also visit www.TaylorMadeBeauties.com for some more beautiful Before & After transformations done by Tracey Taylor. I always feel so privileged when a fellow photographer comes to me to have her family photographed by me. 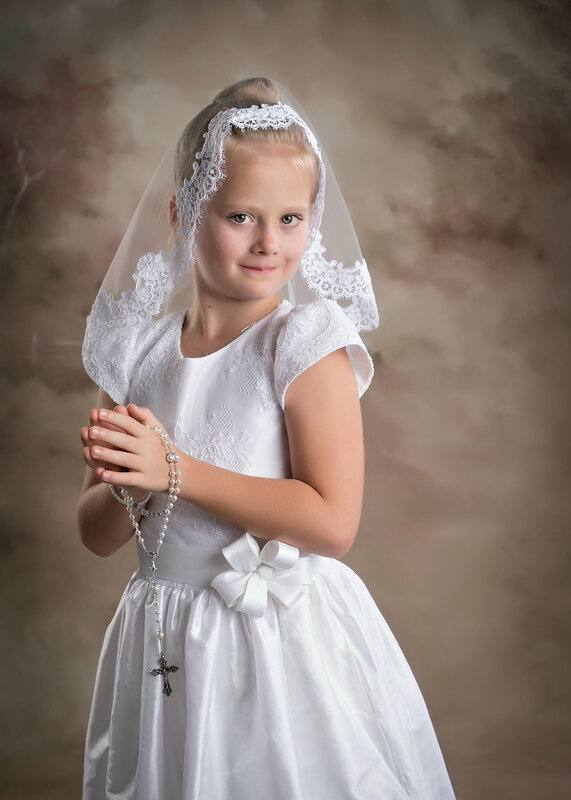 Mara, has the most beautiful twin girls that are getting ready for their First Holy Communion, and she wanted some formal studio portrait created of them. I was honored to do them for her! I hope I have met your expectations!! I of course could not let mom out of here without getting a Mother & Daughter portrait of them while they were here. Mara had her hair and make-up done up and was looking so pretty, but she had a black dress on... which was in stark contrast with the girls dresses. Being that I happen to have a wonderful wardrobe full of dresses in my studio in all sizes, I was able to put her into a white dress that matched her girls perfectly!!! This is a timeless portrait that they will cherish for years to come. Us mom's are always the ones behind the camera... especially when she is a professional photographer such as Mara... so I could not let this opportunity go by an not get a portrait of them! This baby girl is the light of her Nana's heart!! She of course wanted to capture some beautiful memories of her 2nd Birthday, so she brought her to Taylor Made Portrait Studio! Nana was not expecting to be in any of the portraits, but little miss Chloe was being quite the little stinker, like all 2 year olds are, so I asked Nana to hold her and see what we could get... and we managed to this of them playing. I love it! So does Nana! These 3 portraits will be printed as Gallery Wraps and displayed on the walls of her home.